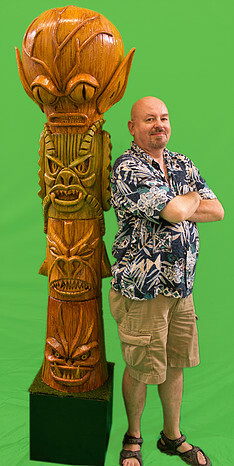 KENNETH J. 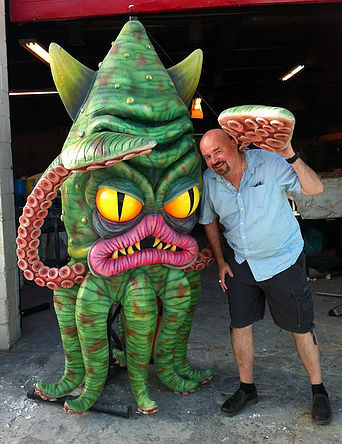 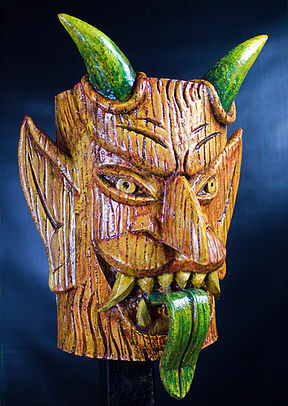 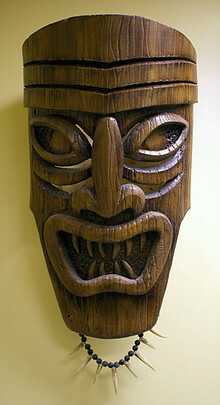 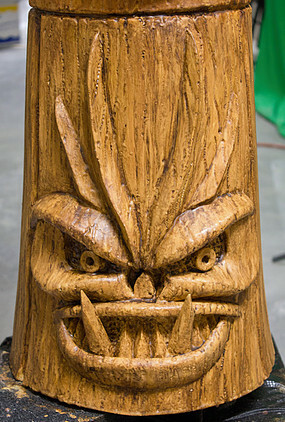 HALL -- Are you a fan of movie monsters…of the ever-popular Tiki creatures? 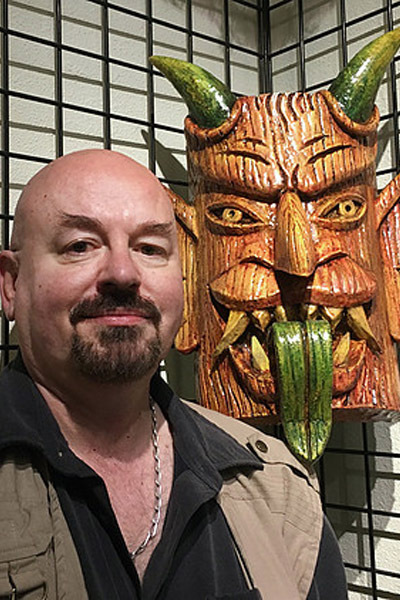 Kenneth J. 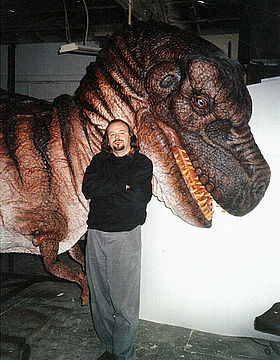 Hall – a special-effects artist who created the critters for such movies as CARNOSAUR (1993) and wrote, produced and directed the movie HALFWAY HOUSE (2004) – has invented a way to combine them both. 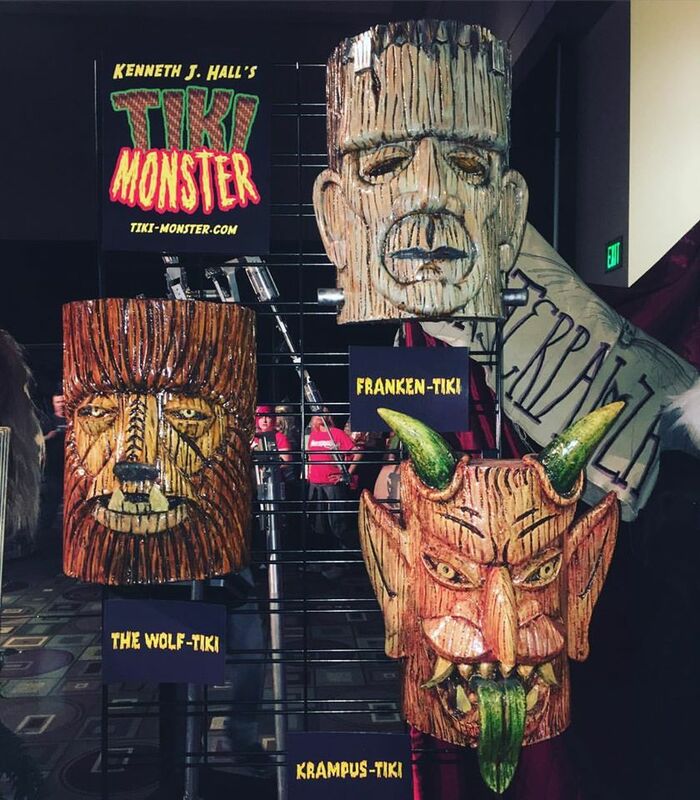 Ken offers a line of his sculpted critters, some of the one-of-a-kid, the perfect decorations when you’re showing an old monster film in your Tiki room!